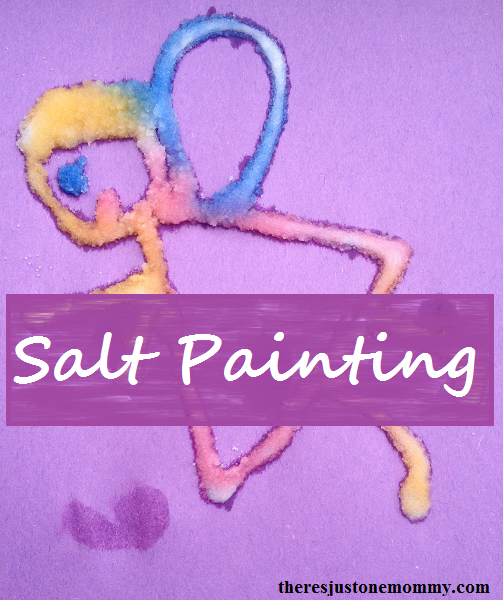 I’ve been wanting to try salt painting with the kids for some time now (ever since I saw Toddler Approved’s spring salt painting craft last year). Now that we have plenty of homemade watercolor paints, it seemed like the perfect time to try this fun painting technique ourselves. 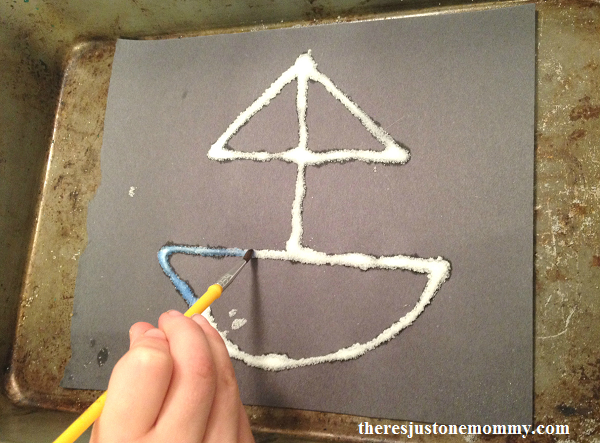 The first step to creating a raised salt painting is to draw a picture with the liquid glue. The next step is to cover the glue with table salt. 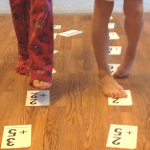 This is a favorite step for kids of all ages! To minimize the mess, I had my artists do their work inside an old cake pan. Once the glue is covered, you can shake off the excess salt to use for the next painting or a future craft. The next step is to add the color. We tried two different techniques, a paintbrush and an eye dropper. If you use a paintbrush, you just want to dip the tip of the brush into the paint and then touch it to the salt — no dragging it along the glue/salt mixture. 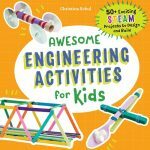 The kids will love watching the color spread all on its own! My son wanted to try his painting on black paper. I love how the colors pop out on the dark background! 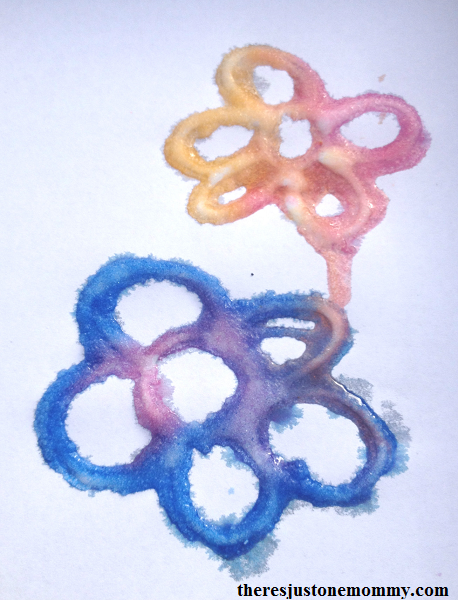 We also tried using an eye dropper to drip the watercolors onto the salt. We found that the paper got a bit wetter this way, but they loved using the eye droppers! Keep in mind, they are a bit fragile once they are dry. The salt will shake off a bit, but it can easily be vacuumed up. 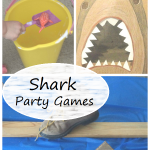 The fun the kids will have creating these definitely outweighs the bit of salt on the floor. 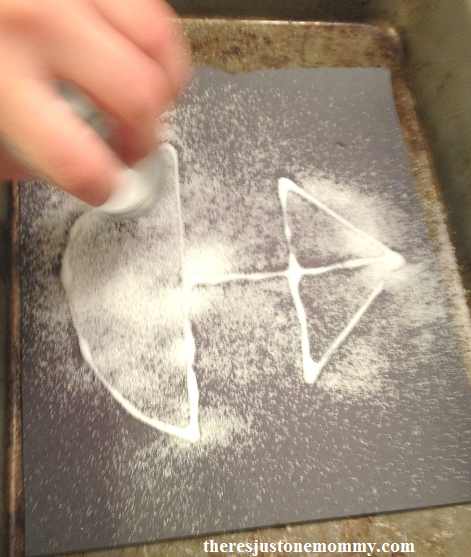 Once we started making these, mine wanted to keep making salt paintings for almost an hour! the colors turn out so pretty! They really do. I love how it pops on black paper, too! Saying hello from We Love Weekends! 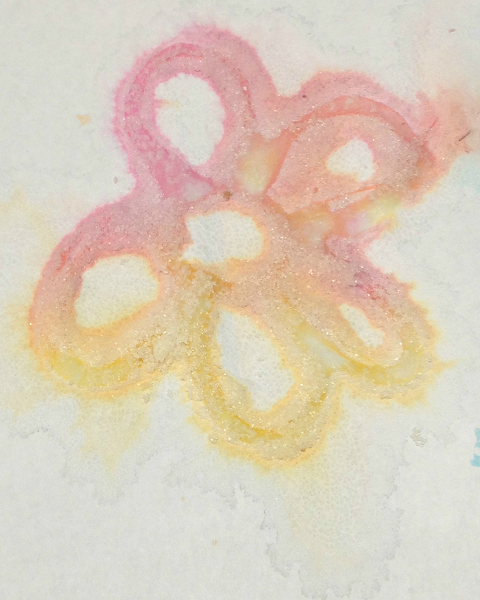 So cute – I’ve always wanted to try salt painting too. Maybe we will give it a shot next week. Do you just let them shake the salt from a regular salt shaker? Mine have asked to do it several times now! What a cute idea! I love the colors that the watercolor paints added to it! Thank you. 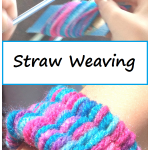 They had lots of fun with this one!